Gnome 3 has many good qualities. No wait. Let me rephrase that. 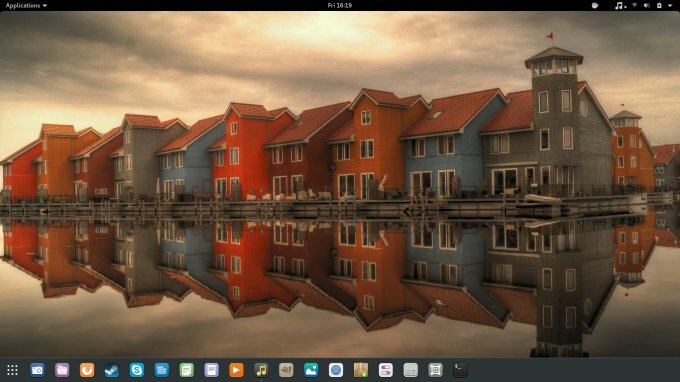 Gnome 3 is not the most accessible desktop environment in the Linux world. In fact, far from it. It is the least consumption-ready setup, and it comes in a very basic, clean and functionality-missing configuration. The issues are many, the frustration great. 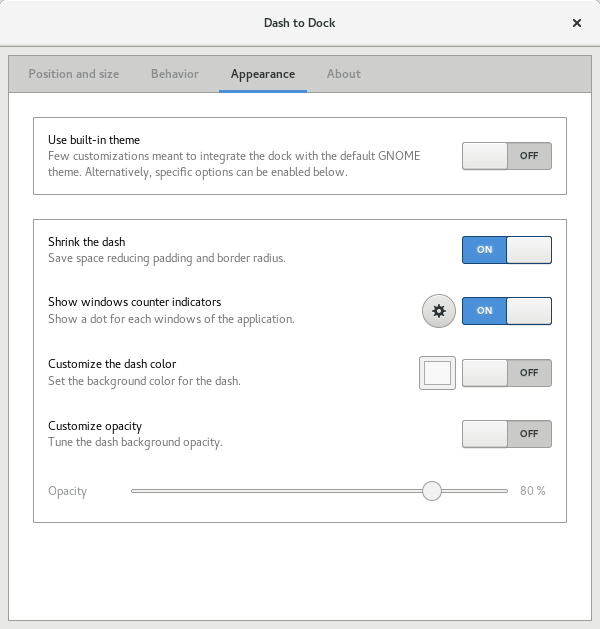 There are a lot of things you should change to make it work the way nature intended, more like the ole Gnome 2 did. The first and foremost is, you will probably be asking yourselves and every guru you know: where are my icons? 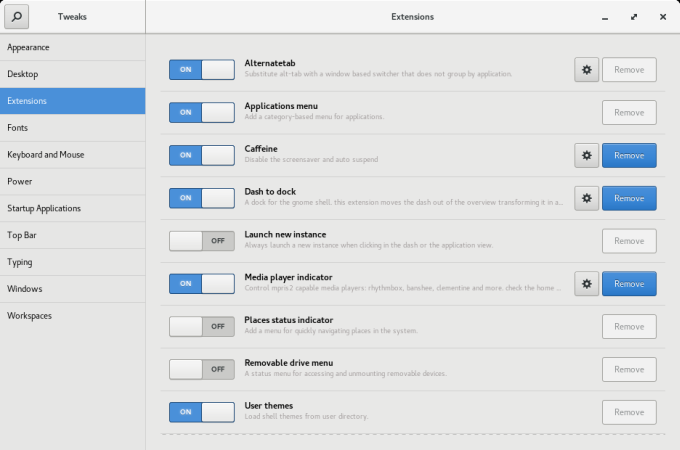 Indeed, no matter how adventurous you are with Gnome 3, it will be hiding the application shortcuts from you. The simplicity of one-click joy is gone, and so you must suffer through at least two action before you can get your software to launch. Windows 8 anyone? Worry not, we fix, high five. Once the software is installed, launch it. 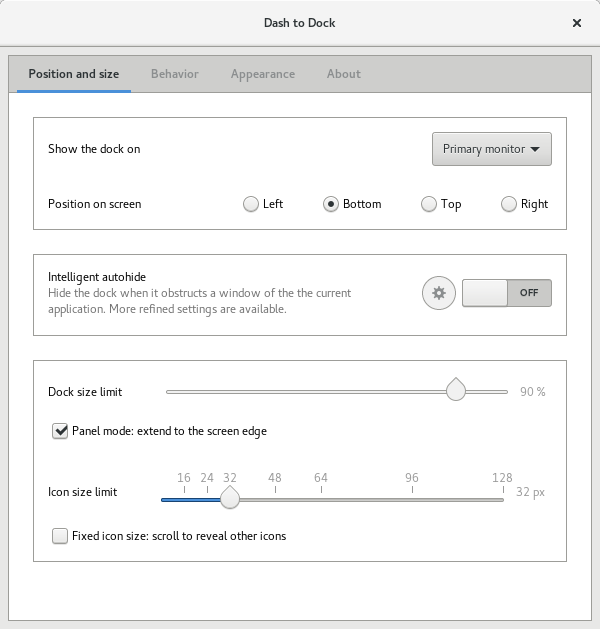 The program has several categories, and each allows you to tweak a different aspect of the desktop environment behavior. But you already know this. You also know that you can use extensions to fix things, as I have shown you in my Fedora 23 tutorial and my Fedora 24 pimping guide. Good. Now, we need an extension that will actually let us have a permanent panel on our desktop, and we will be able to pin application icons (or shortcuts) onto it, so that if we want to launch software, we do not need to invoke the application menu, either by click, swipe or using the super key, and we do not need to search for anything. It's right there, visible and waiting. This exists in EVERY other operating system, as well as all other desktop environments, including Unity, Plasma, Xfce, MATE, etc. Not Gnome 3. There is an extension that allows you to accomplish this, and it is called Dash to Dock. This fine little blessing of written code will move the Dash out of the overview and transform it into a dock. Sounds delightful. Not to be confused with Dungeons & Dragons, Advanced Dungeons & Dragons (ADnD) or ADHD. 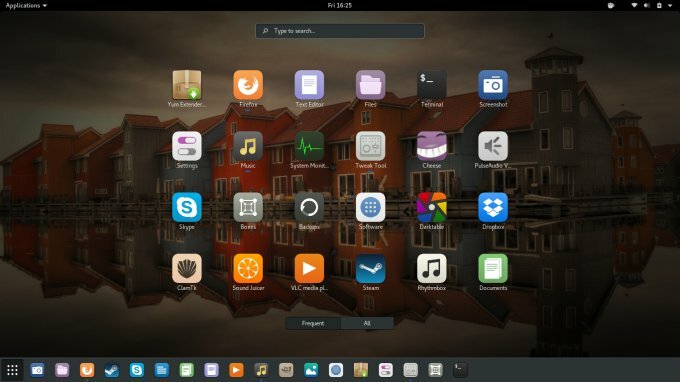 I setup Dash to Dock (D2D) on Chapeau, a Fedora derivative. The extension has several options you can change and tweak to get the desired look & feel. On the position & size tab, you can decide where to place the dock, the auto-hide option, horizontal width, and the size of icons. The behavior tab lets you govern how it should respond to your mouse clicks and scrolls. On the third tab, you control the appearance of your dock, and this includes the theme, color, opacity, and a few other details. Pretty straightforward. Gnome 3 with the dock and then without is like two completely different worlds. One is sane and friendly and the other is just pointless. I cannot begin to describe the relief of knowing you have icons right there, just waiting for you, rather than having to hit the top corner of your screen, search through the app menu, or go through the Activities for what you might need. So much easier and simpler. Pure ergonomics. Such efficiency. Much rejoicing. I believe this extension should be a default part of any Gnome desktop configuration. 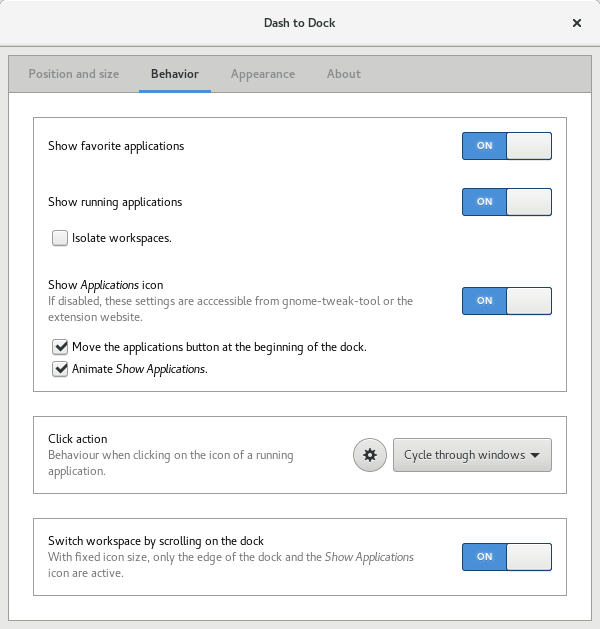 You may argue the taste piece, but you cannot argue the sanity of not having to click like mad to launch your programs. No one can dispute the time saved on life-bleeding extra actions that the default setup requires from you. And so, Dash to Dock is like a cure to a terminal disease. Plus, you can make everything extra pretty, too. Well, off you go, testing and delighting yourselves. In a safe way. Bye bye.